Todd and Gibson made sure that my first mother's day was special. 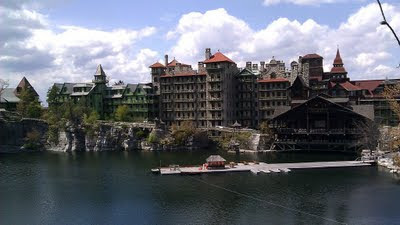 They took me up to the Mohonk Mountain House (a short 2 hours north of NYC) for the weekend. It was one of the loveliest weekends I've ever had. I wanted to take a moment to thank all our family and friends for thinking of me on my first mother's day. It was incredibly kind and it means a lot to me. yay for first mother's days! you are rockin' it, mama!